pi-five is your reliable partner for planning and organising conferences, meetings and congresses in Austria and all over Europe. We design the matching overall concept, take care of the planning, the participant and speaker handling and do the implementation on-site. 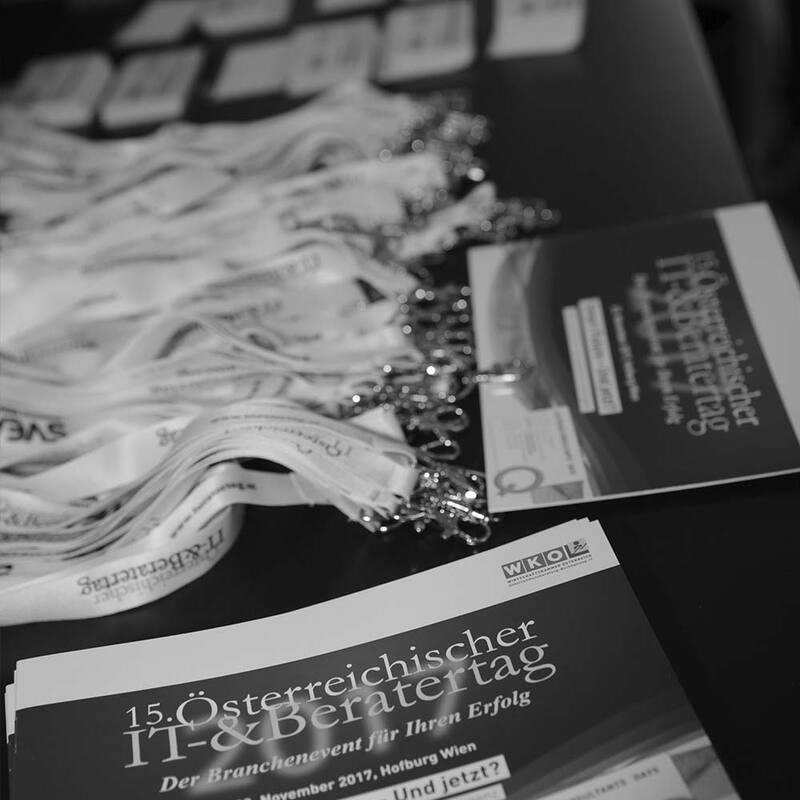 As a professional congress organiser (PCO), we support Austrian as well as international companies, organisations and associations. We realise simple meetings with the same commitment and demand for highest quality as conferences lasting several days. You benefit from our long years of experience and an extensive partner network, with which we can guarantee the complete and successful organisation of your conference. For the congress organisation and as conference service provider, we aim for long years of cooperation with our customers. We want to achieve joint success and make each event a special event as a reliable partner by your side. We accompany your events from year to year and always provide new ideas and surprising highlights for visitors and participants. As the licensee of the Austrian Eco-Label (UZ62), we are also entitled to certify congresses, meetings and conferences as green event or as green meeting. Simply talk to us, if you wish to put special focus on sustainability and environment protection while organising the congress or while planning the conference.